Avoid scratching to get rid of mosquito bites. Scratching mosquito bites will damage the skin, especially if your fingers dirty, thus increasing the risk of infection, says Dr. Neal B. Schultz, a dermatologist practicing in New York City. Scratching actually create more inflammation, increase the desire to scratch more and give worse pain. Surprisingly cold therapy will relieve the itching and prevent swelling. Wrap a piece of ice with a paper towel and apply to the skin bitten by mosquitoes. It can help to reduce swelling and skin irritation. Tea tree oil is anti-inflammatory so the oil can combat itching, swelling and pain. Even seemingly oil also has antibacterial and antiviral properties that can help prevent infection in the bite. Lavender oil can also help. Lavender is the most versatile of all kinds of essential oil, once applied to the skin can help reduce inflammation and pain and prevent infection. Vinegar can help stop the itch, Schultz said. Schultz also recommend including 2-3 cups of vinegar in a tub of warm water to treat all bites or put a few drops of vinegar on cotton and applied to the bite. Better yet, if you use apple cider vinegar. This natural sweetener is well known for its many health benefits, including anti-inflammatory and antibacterial properties so it is not surprising that honey can also reduce mosquito bites. In addition to reducing puffiness under the eyes, tea bags can also reduce swelling mosquito bite, said Schultz. The content of tannins in tea serves as an astringent that pulls out the liquid from the bite. Try to dissolve baking soda into a warm bath and soak for 30 minutes or it could be by mixing baking soda in a little water and then applied directly to the bite. This natural aromatic leaves containing camphor and thymol, two compounds that can reduce itching, light Schultz. You can crush some leaves and rub it on the bite or buying essential the oil. According to experts, this fruit is anti-itching, antibacterial and antimicrobial. Juice or fruit peelings both can kill all kinds of bacteria. Maybe you've heard that toothpaste can relieve the itching, but maybe it was due to his mint scent that works. If you do not want to spend your toothpaste, try a drop of essential oil or a paste made of crushed peppermint leaves. Aloe vera is usually used to relieve the condition of sunburn, but aloe vera is also not to be overlooked in treating bites, This plant is very good to overcome the itching and swelling, it is really very soothing. Mix five drops of geranium oil, three drops of neroli oil, and three tablespoons of face cream you usually use. Geranium is an antiseptic that reduces inflammation. In combination with other materials, geraniums will keep the skin supple and help make stains less noticeable. Combine with witch hazel on mosquito bites to reduce swelling and itching. Various chemical based products offered to repel mosquitoes in your home. However, the materials used in the product are clearly less safe and risky for health. Here is a more natural tips to prevent mosquito bites. From the first, dried coconut husk is used as a mosquito repellent. How, burn dried coconut husks to remove smoke and let stand for 5-6 minutes. Mosquitoes will go all the way from the room. Although smoky, coconut coir is clearly more natural and safe for your health. 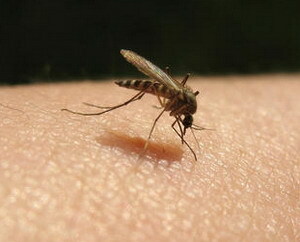 CamphorSulfur is the main enemy of the mosquito. Such materials can be found in the camphor. Burn camphor in the room you want, wait for a few minutes and feel the comfort of the room without a mosquito in your house. The smell of kerosene or kerosene is not pleasant. Therefore kerosene mixed with camphor, then spray it all over the room. Naturally, the mosquitoes will leave and you also avoid bites.